Two patients with wet age-related macular degeneration (AMD) who received a new treatment derived from stem cells have regained enough vision to be able to read, thanks to the London Project to Cure Blindness. AMD is the most common cause of sight loss in the UK, and can lead to a rapid loss of central (reading) vision. The two patients who underwent the procedure, a woman in her early 60s and a man in his 80s, had wet AMD and declining vision and the study investigated whether the diseased cells at the back of the patients’ affected eye could be replenished using the stem cell based patch. A specially engineered surgical tool was used to insert the patch under the retina in the affected eye, in an operation lasting one to two hours. For further information, visit the Macular Society website. A team of researchers and clinicians at UCL’s Ear Institute and the Royal National Throat Nose and Ear Hospital are inviting people with hearing loss to participate in a ground breaking clinical trial to test the safety of a new drug that aims to treat sensorineural hearing loss. Currently the only option for people with inner ear hearing loss is to wear a hearing aid, or, for those with severe to profound hearing loss, a cochlear implant. These devices help people to communicate, but do not treat the underlying cause of their hearing loss. With one in six people in the UK having hearing loss, there is an urgent need for new treatments. The researchers of the REGAIN project (REgeneration of inner ear hair cells with GAmma-secretase Inhibitors) have worked for years to develop a new drug that could regenerate inner ear sensory hair cells, and they are now at the stage of testing if the drug is safe to use in people and if it affects their ability to hear. New drugs that could potentially treat hearing loss must first be tested in clinical trials. To test a drug in people for the first time, a ‘first-in-man’, or phase I, study is conducted. The aim is to test how safe the drug is in a small group of people. Once this has been proven, the next step is to test the drug in a larger group of people, to see if the drug works and to continue monitoring its safety. This is a phase II study. The development of new treatments and testing in clinical trials is carefully watched over by the health regulatory authorities and requires their approval to proceed. This is in line with UK and EU law and best practice guidance that governs how clinical trials are designed and conducted. In 2015, the European Union awarded a Horizon2020 research grant to a group of leading scientists and clinicians from across Europe, to develop and test a new drug with the potential to regenerate inner ear (cochlear) sensory hair cells and improve hearing. The project is called REGAIN, and the drug is a Gamma Secretase Inhibitor (GSI). It has been shown in animal studies that this class of drugs is able to turn on a chemical ‘switch’ to produce new sensory hair cells from other cells in the inner ear, called ‘supporting cells’, and improve hearing of these animals. The REGAIN researchers have selected a drug from this class and after completing the preclinical safety testing according to UK and EU regulations, are now at the stage of testing this drug for the first time in people with hearing loss. This is called a phase I trial. The first-in-man REGAIN clinical trial is designed to assess how safe the drug is in up to 24 people with hearing loss. The study team at the UCL Ear Institute and Royal National Throat Nose and Ear Hospital (UCLH NHS Foundation Trust), led by ENT surgeons Professor Anne Schilder and Professor Shakeel Saeed, are looking for people with hearing loss who are interested in taking part in this trial. The team are looking for people aged 18-80 years with mild to moderate sensorineural hearing loss, who are either using or have been previously offered a hearing aid. People are eligible to take part in the study if they have had hearing loss for less than 10 years. Participants must be willing to refrain from wearing their hearing aid in the ear to be treated for three weeks, the duration of treatment. People who suffer from tinnitus, and consider this to be more of a problem than their hearing loss, are not eligible for the study. Can people with congenital hearing loss take part? It is not possible for people who are born with hearing loss (congenital) to take part in the REGAIN study. This is because the study drug is not designed to treat this type of hearing loss. Can people outside UK take part? At this stage, only people living in the UK can take part in the REGAIN study. Why can only people with mild to moderate sensorineural hearing loss take part? What about people with severe hearing loss? To be eligible for the REGAIN study, people must have a mild to moderate hearing loss. This is for two reasons. The study is testing the safety of this drug that aims to regenerate inner ear sensory hair cells; it is thought that the capacity of the inner ear to do so decreases with the level of hearing loss. In addition, detecting any potential negative effects of the drug on hearing, can be done more reliably in people who have mild to moderate hearing loss than in those with severe or profound hearing loss. How is the drug administered? The drug will be injected through the ear drum into the middle ear, using a local anaesthetic to numb the ear drum. This technique is regularly practiced to deliver other drugs inside the ear, such as corticosteroids for the treatment of Ménière’s disease. follow up visits to continue assessing the safety of the drug. Participating in the REGAIN study will require considerable time and commitment over 14 weeks. The study is designed to rigorously test the safety of the drug, which means receiving the drug three times, and attending regular appointments for tests at set times. All potential participants will be provided with detailed information about the study, including the potential risks and benefits, so they can make an informed choice about whether to take part. Or visit the Regain website. To find out more information about clinical trials, please visit the UK Clinical Trials Gateway. With the kind support of the Marisco Patient Group, Lincolnshire Sensory Services are delighted to be starting a new Hear to Help drop-in service for people who are hard of hearing in the Mablethorpe area. Providing NHS hearing aid re-tubing and cleaning as well as information and guidance on living well with hearing loss, this service will enhance the excellent support already provided by the Patient Group at The Marisco Medical Practice, Stanley Avenue, Mablethorpe LN12 1DP. The Hear to Help service will be available in the Information Centre at Marisco on alternate Tuesdays 10am-12noon from the 13th February. For further information, please contact LSS on 03333 202667 / 07710 155104 or the Marisco Patient Group on 01507 473483. Patients diagnosed with sight loss will now be able to access greater support at Lincoln County Hospital, Pilgrim Hospital in Boston, and Grantham and District Hospital. Two new Eye Clinic Liaison Officers (ECLOs) have been appointed to work alongside health professionals, offering help and advice to people with visual impairment on a range of areas including independent living, returning to work, benefit entitlements, coping at home and emotional support. 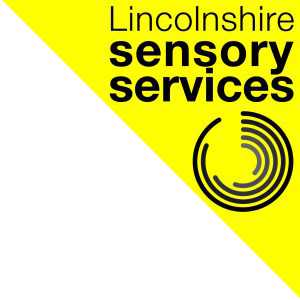 The ECLOs will liaise closely with Lincolnshire Sensory Services to ensure that Certificates of Visual Impairment (CVIs) are recorded and responded to swiftly, and rehabilitation support and mobility training are provided where appropriate. United Lincolnshire Hospitals Trust and DisabledGo have today launched their United Lincolnshire Hospitals Accessibility Checker. Visitors, patients and staff should now be able to find out more about the accessibility of hospital buildings and services with this new web tool. Created by DisabledGo, a national not for profit organisation, the online resource is free to use and has been created following reports produced by DisabledGo’s surveyors who have been visiting and assessing every area of ULHT hospitals over the past year months to ensure accurate, detailed information is collected. The information, including details of whether accessible parking bays are available, how far you would need to walk to get to an entrance, if a hearing loop is available at reception, if background music is played, if flashing fire alarms are available and if there are places to sit and rest, is available on the DisabledGo website and should also be available on the departmental pages on the UHLT website. A big thank you to everyone who attended our See, Hear, Live Well event on the 6th April. It proved a great opportunity to find out more about services and support available to people with sensory loss, a chance to network and to raise the profile of many organisations whose aim it is to add value to the lives of people living with sight and/or hearing loss. We will be organising another similar event towards the end of the year, so watch this space! 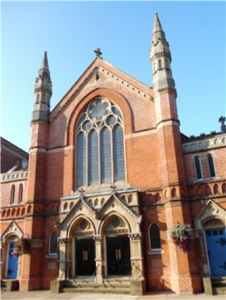 Hosted by Lincolnshire Sensory Services in partnership with Bishop Grosseteste University, this fair brings together organisations and groups that aim to improve the lives of people living with sight and/or hearing loss. The event is FREE and open to everyone wanting to understand more about sensory impairment. If you yourself have sight and/or hearing loss, or you have a friend or family member living with a sensory impairment, join us on the day and meet with representatives of organisations providing specialist help, try out assistive technology and find out about activities and services available to people in Lincolnshire. If you are a professional working with visually impaired or hearing impaired clients, join us to learn more about how you can better support your clients to maintain their independence. For more information, contact Lincolnshire Sensory Services direct. Drop in for information, advice and practical solutions for living with hearing loss, including NHS hearing aid maintenance (if possible, please bring your brown Audiology booklet with you).